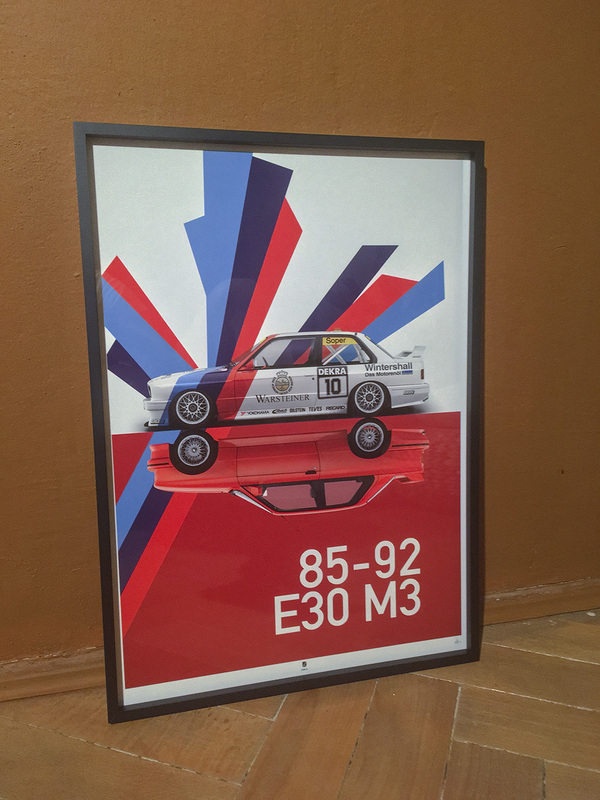 Framed, A3 – sized (29,7 x 42 cm) high quality print showing Steve Soper’s BMW E30 M3 #10 and the stock M3. This is an homage to one of the most successful racing car ever built, the BMW E30 M3 (the “M” stands for Motorsport or Massacre, sources differ). This particular car was raced by Steve Soper, then sold to former Czechoslovakia, briefly raced and largely forgotten about. It was recently renovated and now makes occasional appearances in public. This poster was made using painful handmade, bit-by-bit reconstruction of the original car in a computer 3D software, rendering it and compositing into background that is based on its famous three-color-stripes livery. The same was done for the stock, original (pre-Evo) version in its trademark red color, which is mirrored in the lower section of the poster. 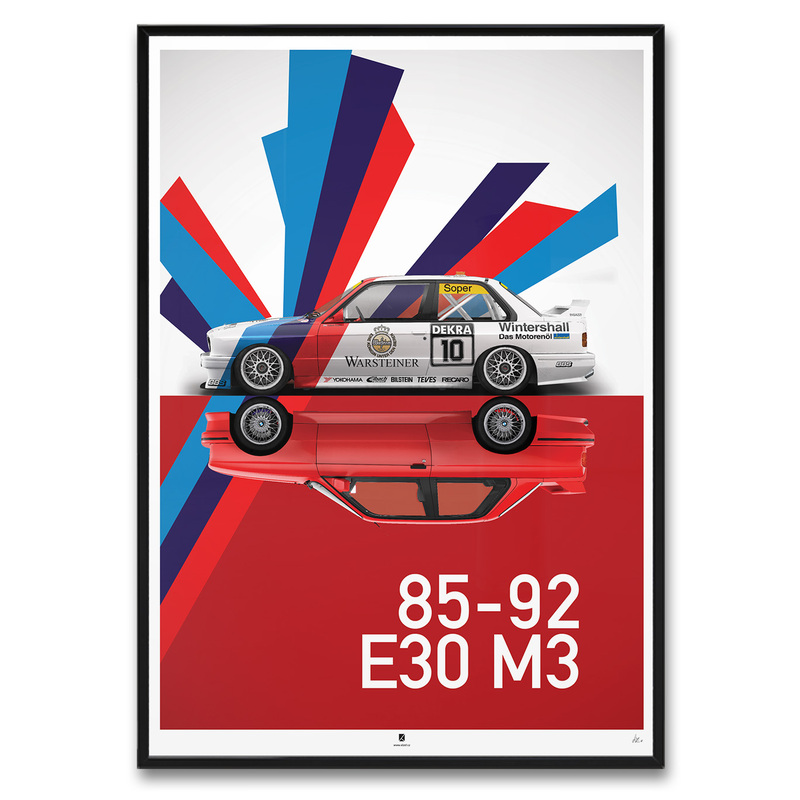 For detailed explanation of the creative process behind this poster, read the E30 M3: the process page. The poster is part of the “mini” series, and so comes in A3 size (29,7 x 42 cm), printed on high-quality photographic paper (325 gsm) and is framed in high-quality, black matte frame. 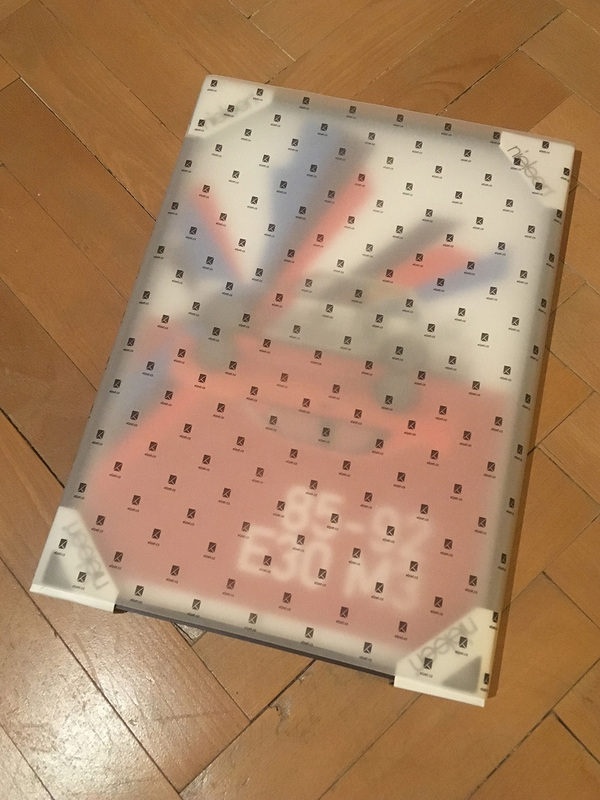 It will arrive carefully packed in a flat package.